"This is Berk. The best kept secret this side of, well, anywhere." Says Hiccup. It's definitely this summer's best animated film, filled with heart and soul. You will leave the theater beaming. I seriously cannot say enough good things about this movie. I loved it so much! And with Vikings on the backs of dragons this time around, the world just got a whole lot bigger and better. With a more complex storyline than its predecessor, I felt it delivered on every account. And I even went in with high expectations, which were easily met on every level and then some - that doesn't happen too often, but when it does it's a thing of beauty. With an extremely well written script (four years in the making), rich with incredible character development and stunning animation, all of which surpassed the original, how can you go wrong. 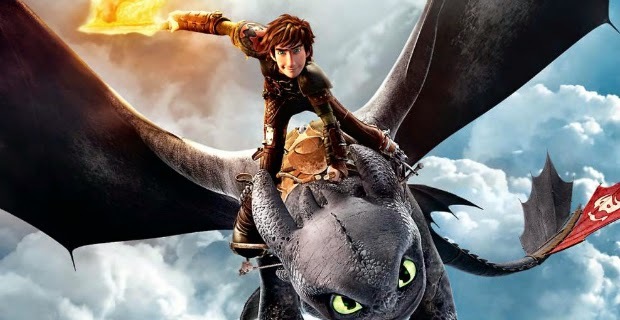 How to Train Your Dragon 2, along with any sequel for that matter, easily could have played it safe by merely repeating the original's formula (ahem, Home Alone 2 anyone?). However, it opted instead to further the story by introducing fascinating new characters while giving us the ones we have come to know and love. These lovable characters are now 5 years older, though, and have been exploring new places and new territories over the years. Basically HTTYD was brought to the next incredible level filled with more emotion, intensity, action, adventure, humor, and depth. It's safe to say this is one of the best sequels Hollywood has produced in a very long time. Plus it speaks volumes to any age group. 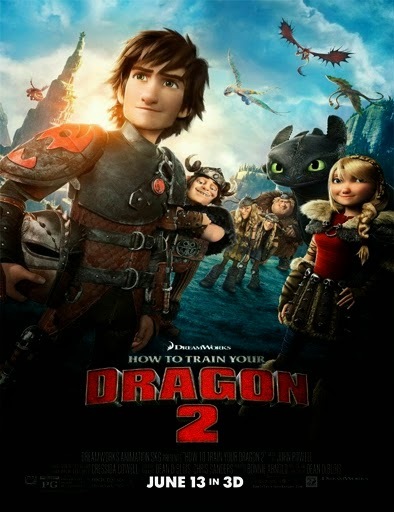 HTTYD2 is a phenomenal movie, one of the best I've seen all year, and will no doubt snag an Academy Award for best animated film. John Powell returned to score the film, which has become one of my all time favorites. Though not as enchanting as the original, it's still a valiant effort. I wouldn't be surprised if he was nominated again. I was fully engaged with excitement, grinning ear to ear the entire two plus hours. When it was over, I immediately wanted to see it again. If you were fan of the original, I strongly recommend seeing this movie (in theaters if possible). Your heart will soar.